I drew this cover for Open Stories Project (formerly Big Class Boston). The book contains stories written by seventeen students from Brooke Charter School and a matching number of adult artists. I drew all the elements of this cover by hand, and then assembled them in Photoshop. The kids’ stories were awesome, and working on this project was great fun! 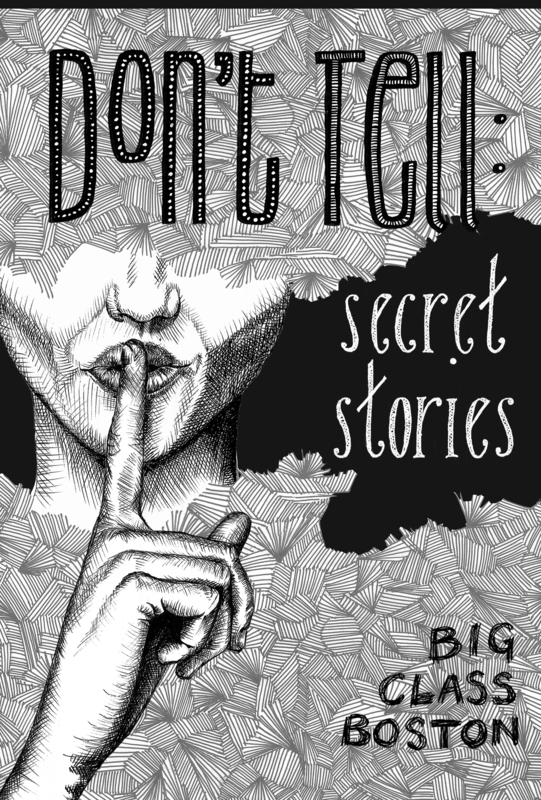 Right: my cover for Don’t Tell: Secret Stories. Below: all of Big Class Boston’s releases to date, each illustrated by a different set of artists. 13 Jun	This entry was published on June 13, 2012 at 3:20 pm. 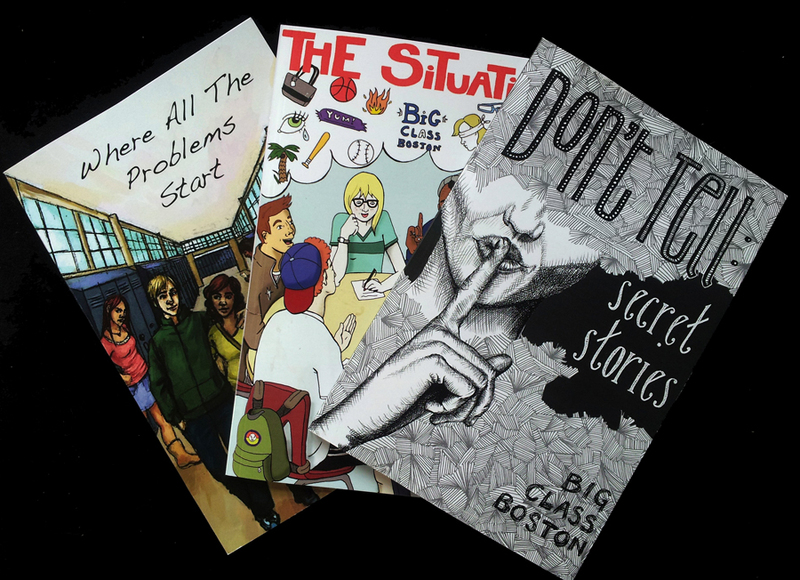 It’s filed under Illustration/Design, My Work and tagged Big Class Boston, Brooke Charter School, Open Stories Project. Bookmark the permalink. Follow any comments here with the RSS feed for this post.